Even though he was not baptized until 1978, Brother Johnson started gathering people. “The Lord knew we had no missionaries around to help us, so He directed us by the Spirit,” says Brother Johnson, who continued proselyting and teaching the gospel in an untiring and zealous manner, though he had not yet been baptized and held no priesthood authority. During this time, Brother Johnson experienced opposition from those who didn’t believe that the Book of Mormon or any other book could be equal to the Bible. Some shouted accusations that Johnson was anti-Christ, and others distributed literature attacking the Church. A local newspaper even printed pictures of the Presidents of the Church and wrote degrading statements about each one. But as opposition increased, so did Brother Johnson’s determination to teach the gospel message. People began to listen and believe. His faith increased, and he felt the Lord blessing him in his work. One day, after some members of a crowd to whom he was preaching “hooted” at him, about 40 people came forward and said they wanted to listen to the message. Their names were recorded and a meeting place was arranged. With the growth came struggles. Once, while facing a serious problem, Brother Johnson fasted for three days. He then knelt and prayed for help. That night he dreamed he saw the Prophet Joseph Smith and President Brigham Young. They assured him that missionaries would come soon and that he should keep studying the scriptures. As a result of this manifestation, Brother Johnson developed a great love and appreciation for those two early prophets. He even chose to name his son Brigham—likely the only young man at that time in all of Ghana with that name. By 1968 Joseph Johnson had built up four congregations, so he quit his job and took up “a full-time missionary work.” He farmed to support his family and lived off his retirement pension and donations from his followers. But the struggles proved to be too difficult for his wife, and she left him and the children. The divorce caused him great anguish. While struggling with his pain, he saw in a dream his only brother, who had died seven years before. Although Brother Johnson received great strength from the Spirit, like most leaders he faced loneliness and discouragement. At one particularly difficult time, a tempting offer came to him from some Americans who belonged to another church. They went to Brother Johnson’s home and asked him to join with them and bring his congregations. In exchange, they agreed to give him a trip to America and $10,000 to purchase equipment and supplies. He had always wanted to go to America, but his poverty had made it impossible. “I would have loved to see America,” remembers Brother Johnson. “I went to my room and knelt down late at night and said: ‘Lord, is this a blessing that you want to give me? Should I accept it?’” As the answer came to him, he knew that he should stay true to the Church and that missionaries would come soon. Toward the end of the wait for the Church to come to Ghana, Brother Johnson and his people developed a love for another hymn: “Come, O Thou King of Kings.” 3 As the people sang, “We’ve waited long for thee,” they sang it weeping and hoping for the missionaries to come to Ghana. Late one night in June 1978, deeply discouraged and tired, Brother Johnson returned home. Some of his followers were tired of waiting, and they wanted to go back to their old churches to be with their families and friends. Brother Johnson felt a great need for spiritual and emotional strength. A strong impression came to him to listen to the British Broadcasting Corporation (BBC) shortwave station, which he had not listened to for several years. He worked with his old short-wave radio for over an hour before he could tune in to the BBC. Among the first to be baptized in Ghana, Brother Johnson helped many members of his congregations understand the need to be baptized into The Church of Jesus Christ of Latter-day Saints. Ato Ampiah, who now serves as stake clerk in the Cape Coast Ghana Stake, was typical of those in his congregation who saw Brother Johnson as a humble follower of Christ and listened to him during this time of transition. 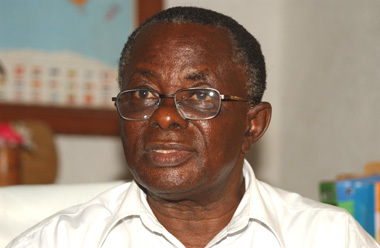 Brother Johnson was the first in Ghana to serve as a branch president and later as a district president. In April 1991, Elders Boyd K. Packer and James E. Faust of the Quorum of the Twelve Apostles created the first two stakes in Ghana—one in Accra and one in Cape Coast. Today there are five. Joseph William Billy Johnson—tireless, faithful, obedient, and believing African pioneer—helped prepare the way for the gospel to come to Ghana. Today, as patriarch in the Cape Coast Ghana Stake, he continues to serve faithfully. Dale LeBaron is a professor of Church history and doctrine at Brigham Young University. 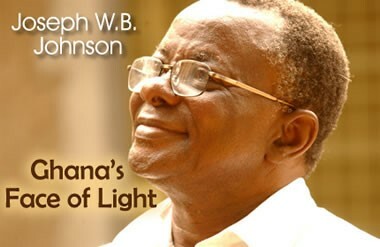 All quotes, except as otherwise cited, are from an interview with Joseph William Billy Johnson by E. Dale LeBaron in Cape Coast, Ghana, on 23 May 1988. Transcript in author’s possession. Interview with Ato Ampiah by Don L. Searle on 21 July 1995 in Ghana. This entry was posted in blessings, Change, Church History, Empathy, Endurance, Faith, Happiness, Love, Mercy, Miracles, Missionary Work, Pioneer stories, Stories from Church History, Suffering, Testimony, Visions and tagged Africa, Faith, faith in Jesus Christ, Joseph W.B. "Billy" Johnson, patience, priesthood, Priesthood ban, revelation, visions. Bookmark the permalink.